04 February 2015, Singapore – Race promoter Singapore GP Pte Ltd unveils the first award winning, multi-platinum headliner for the 2015 FORMULA 1 SINGAPORE AIRLINES SINGAPORE GRAND PRIX entertainment line-up. 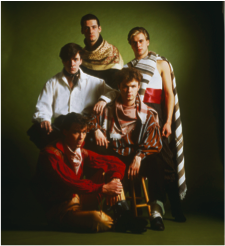 Iconic British band Spandau Ballet will make their Singapore debut at the Village Stage in Zone 1, the second largest stage at the Marina Bay Street Circuit. Following a 20-year hiatus after their split in 1990, the band reunited in 2009 and released their seventh studio album Once More that entered the UK Top 10. Their much-anticipated reunion has seen them sell out 13 Arena shows in the UK including three nights at the O2 Arena in London. In the same year, Spandau Ballet was honoured as the Best Comeback of 2009 in the Virgin Media Awards. Last year, the quintet released a critically lauded ‘Soul Boys of the Western World’ documentary, charting their journey through the 1980s and beyond. The film premiered at SXSW Film Festival in Austin, Texas and was featured at the Rome Film Festival, Film Fest Gent and DOC NYC. The UK premiere hit at a sold out Royal Albert Hall in London were the band came together on stage for the first time since 2010 to celebrate. 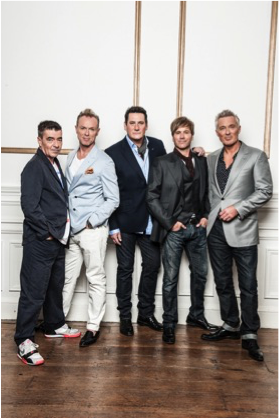 Access to the Spandau Ballet performance at the Village Stage is included with any three-day 2015 FORMULA 1 SINGAPORE AIRLINES SINGAPORE GRAND PRIX Zone 1 ticket.